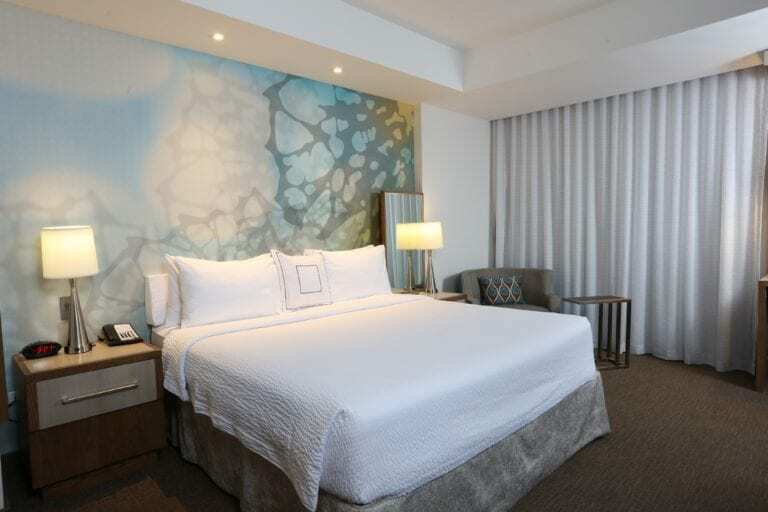 Courtyard Port of Spain is starting 2019 with newly-renovated rooms. The renovation consisted of 119 guest rooms and suites and involved a complete gutting and upgrading of bedrooms and bathrooms with the latest technology innovations. The new design offers hybrid zones for work, sleep and relaxation. Indirect lighting and neutral tone-on-tone colors makes for a soothing and calm environment. Colors like beige, white, blues and greens are also present to portray the Caribbean destination. “The rooms are more versatile. The business traveler will have different options to work and relax comfortably. The bathroom now features a large walk-in rain shower, the rooms also have elements inspired by clear woods. The multiple spaces of the new guest rooms are the perfect example to the Courtyard brand identity: Fueled by Passion, the flexibility of the spaces will provide the guests more comfort to be their most creative and successful selves,” commented Nicol Khelawan, General Manager of Courtyard Port of Spain. Courtyard Port of Spain located in the capital of the country is 45 minutes from the Piarco International Airport and 10 minutes from the City Centre.